A very intimate evening was experienced tonight by those who were lucky enough to be in attendance at the Chan Shun Concert Hall. 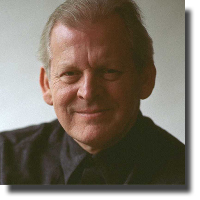 Sir Thomas Allen, referred to as Britain’s favourite baritone, gave a musically varied program which touched the spiritual core of those in attendance. The program notes state that “Art Song can catch you by surprise, connecting you with the core of your being and the elusive realm of shared dreams.” That is exactly what happened on Wednesday night. With every song, Sir Thomas Allen transported the audience to an interior space within each of us. One could hear the final echo of the last piano note; such was the mesmerizing effect of each offering. The program was divided into several parts and was presented in the formal recital format. It began with a selection from Henry Purcell’s Music for a While, and continued with several selections from the work of Joseph Haydn, Franz Schubert and Ludwig van Beethoven. After the intermission, six songs from A Shropshire Lad were presented. The pianist, Joseph Middleton, a star in his own right, was in perfect sync with Allen throughout the concert. There was a camaraderie and a mutual delight in the music being shared by these two artists that added a very special tone to the evening. Three Shakespeare Songs, Op. 6 composed by Roger Quilter, text by William Shakespeare, followed by three selections, also composed by Roger Quilter, text taken from Alfred Tennyson, Thomas Campion and Fair House of Joy (text anonymous), completed the formal portion of the program. The final portion of the program Traditional Northumbrian Folk Songs gave the audience a glimpse of the personality behind the baritone. A very warm and humourous man, Sir Thomas Allen shared with us his Northumbrian roots. warm and funny nature of Sir Thomas Allen. Miss Otis Regrets That She Cannot Lunch Today was a favourite. Music for a While Shall All Your Cares Beguile perfectly summed up the feeling in each of us as we left the Chan Shun Concert Hall on Wednesday night.